Evie the Extraordinary and Her Mommy: The Journey As We Go: The NICU: where time passes you by and you think everything is done in 12 hour shifts. In other news, orange chicken. The NICU: where time passes you by and you think everything is done in 12 hour shifts. In other news, orange chicken. I am so thankful for the nurses and doctors in the NICU. Their personal attention and care kept me from going crazy when we found ourselves still waiting to bring Evie home after 6 weeks in the hospital, even though we expected maybe 1-2 weeks. We were at the hospital each day for 8-10 hours, taking turns sitting with her, holding her, and learning to do regular parental duties like changing diapers and feeding her. If we had brought her home 2 days after birth, we would have been so lost. 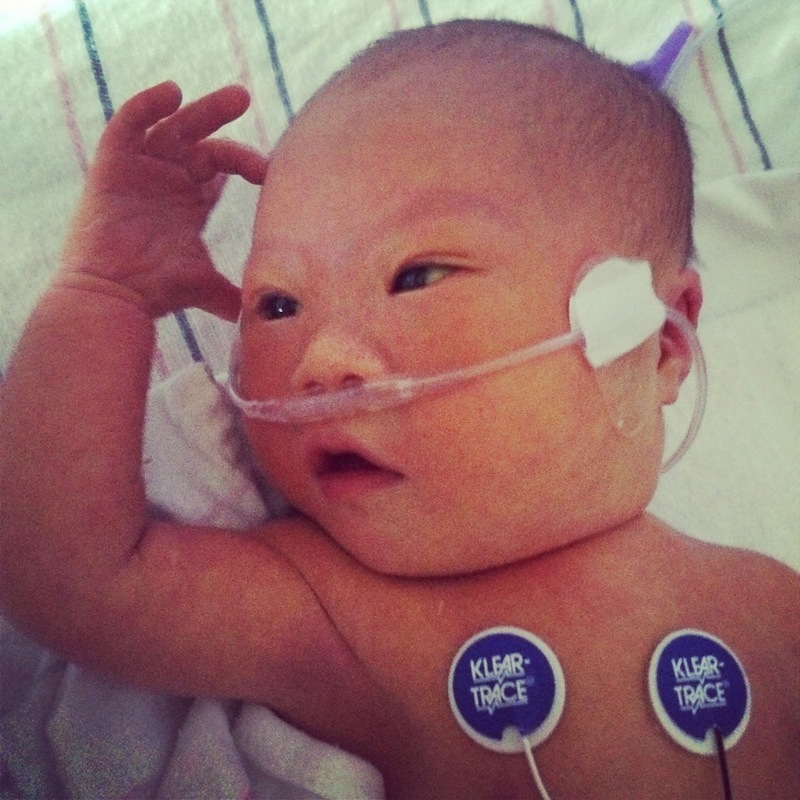 The NICU was like boot camp for learning to care for an infant..and more. We quickly got familiar with the food court nearby and the Starbucks downstairs. 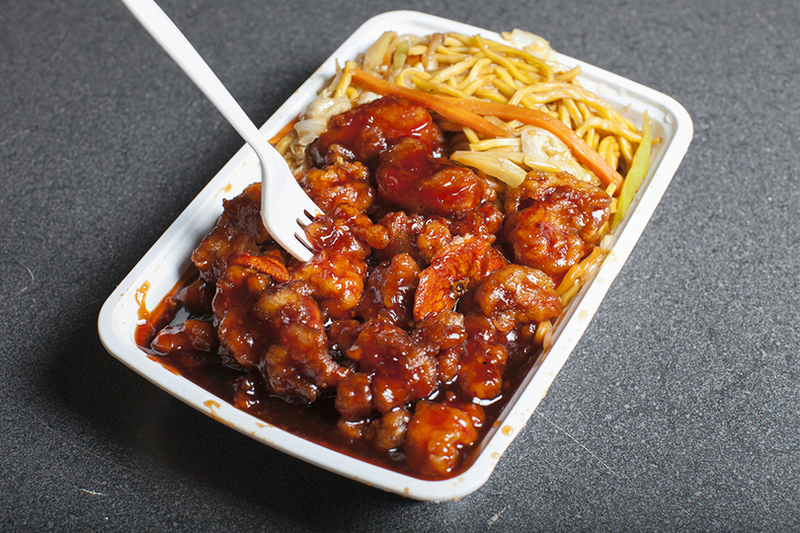 I think I ate orange chicken from the Chinese place 4 times one week. Thankfully we had friends start bringing us food at the hospital. Each baby had primary nurses called "primes." Our primes were Maureen and Anna, and whenever they were on duty, we breathed a sigh of relief, because we knew they had a special liking for Evie. Maureen even came in on her day off just to say hi to her patients. When primes weren't on duty, there would be nurses who didn't know Evie yet, and had to learn about her needs. 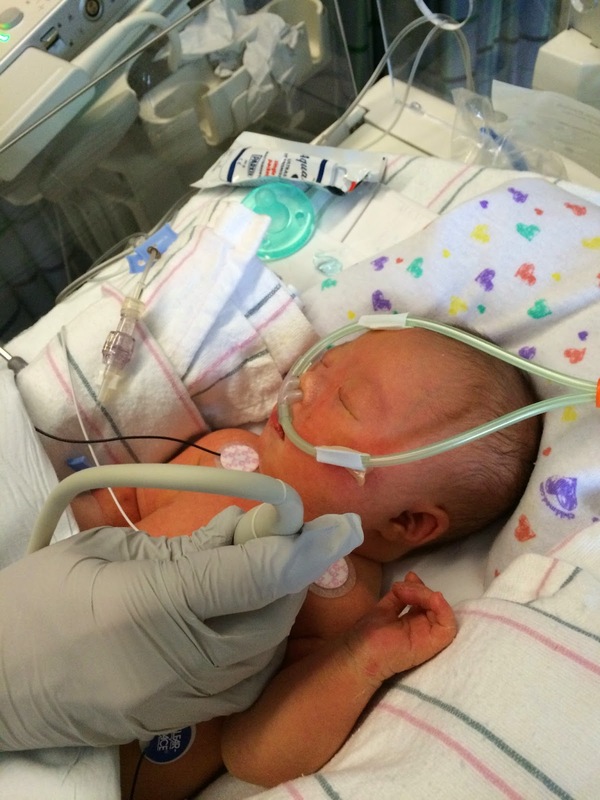 Evie has a Ventricular Septal Defect, an Atrial Septal Defect, and Pulmonary Hypertension. We knew she had the VSD and ASD prenatally because I had fetal echos done while pregnant. We didn't know the extent of how big the holes in her heart would be. The ASD is small. It turns out her VSD is 5-7 mm large, so we are praying for a miracle to close the hole in her heart. If it doesn't close, she will need open heart surgery before she is 1 year old.